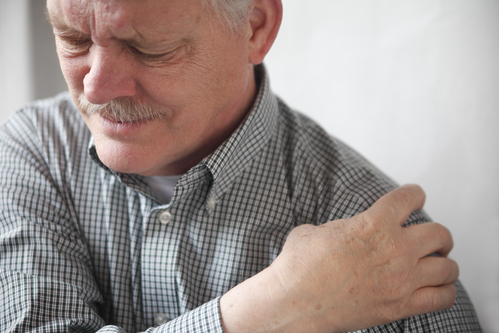 Discover 5 Proven Methods to Treat Chronic Pain and Fibromyalgia. Image for a moment your chronic pain is gone! Chronic pain, a common problem for people with fibromyalgia, doesn't just hurt...it hurts all over. 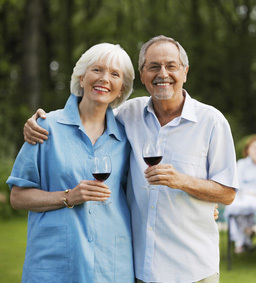 It can drain your ability to enjoy an active and healthy lifestyle. If you are suffering from chronic pain or fibromyalgia, you know what I mean. Experiencing this daily pain leads to ongoing issues including fatigue, insomnia, depression and anxiety. All of these facts interconnect and as they keep piling one, you may feel overwhelmed, as difficulties with one may make the others worse. They may even get annoyed with you because you're not just full of life as you used to be. It seems one day the joint pain is manageable. The next day it is preventing you from enjoying life the way you want. On those days, it seems the only thought in your mind is wondering how you can stop it. Obviously, such symptoms are nothing to look forward to and many fibromyalgia and chronic pain resound themselves to accept these as unavoidable consequences. Those frightening fibromyalgia symptoms cannot only be managed and limited, but sometimes avoided entirely and they are not actually experienced by all chronic pain sufferers. The key is to understand the process of fibromyalgia and how to prepare your mind and body mentally and physically before you experience the symptoms of fibromyalgia. How do you guarantee fibromyalgia has a minimal negative impact on your life? How can you turn this experience into a positive one? 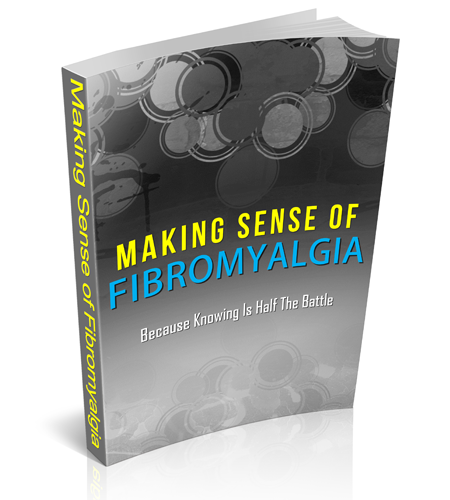 How can fibromyalgia be managed without drugs and medications? 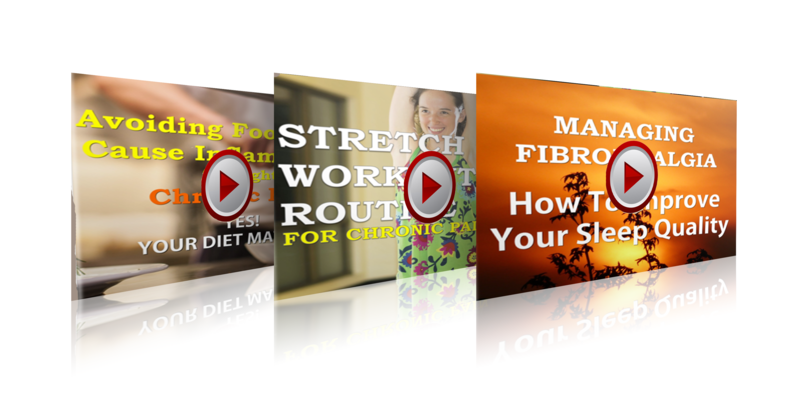 You can do all of those things when you are properly informed, and prepare yourself with our The Ultimate Fibromyalgia and Chronic Pain Health Kit. Most importantly, you will be armed with facts instead of myths, reliable information instead of misinformation, you can limit the downside and increase the upside and truly enjoy an active and healthy lifestyle. This One-of-a-Kind Health Kit Includes Everything You Will Need to Start Managing Fibromyalgia and Chronic Pain! 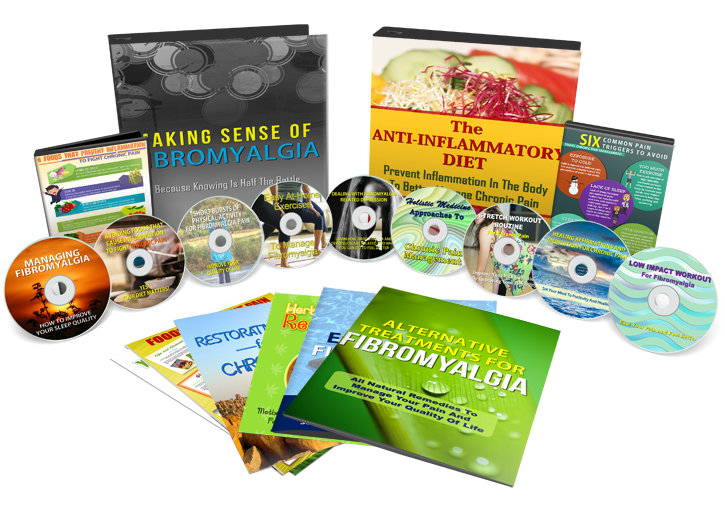 The Ultimate Fibromyalgia and Chronic Pain Health Kit is packed-full with the latest scientific, medical and physiological information out there. 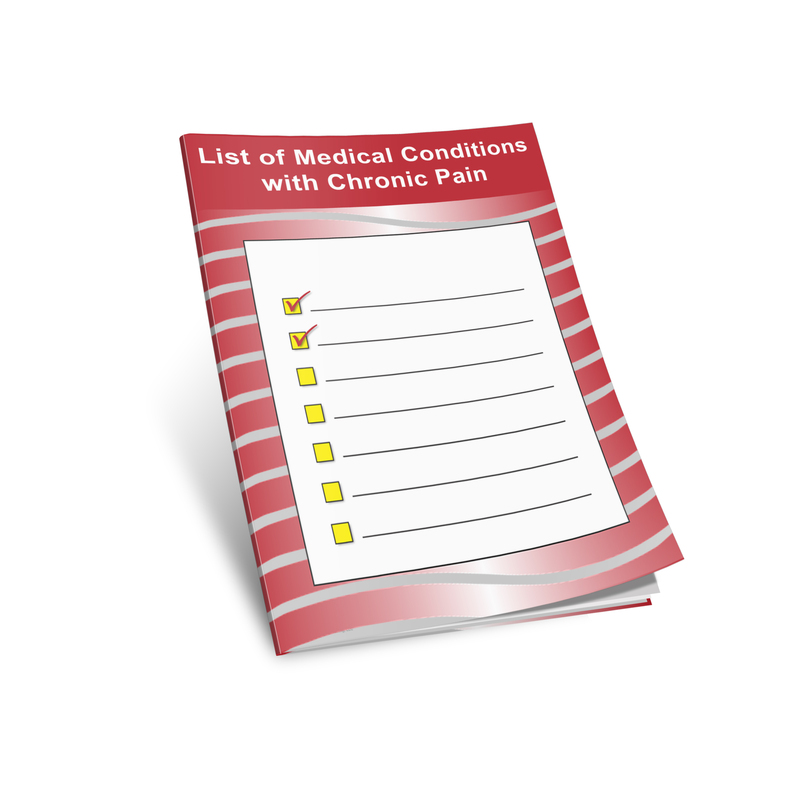 All of the up-to-date information in The Ultimate Fibromyalgia and Chronic Pain Health Kit is available within minutes of your purchase. 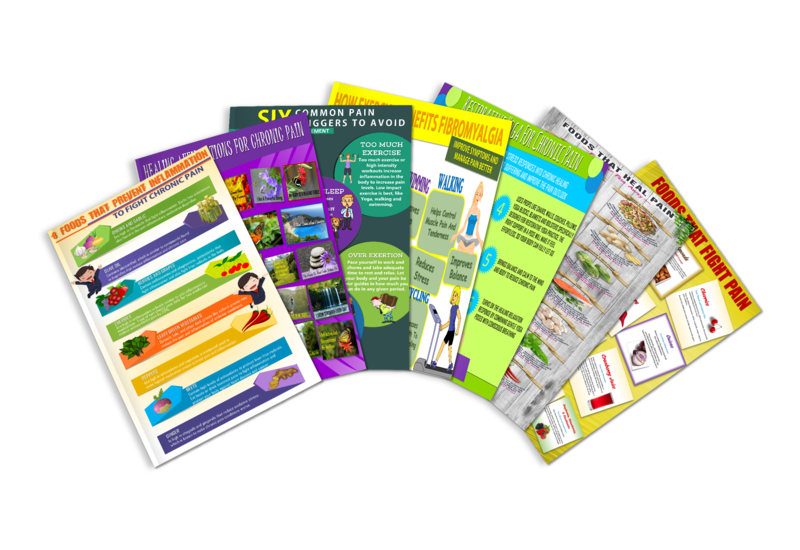 You will receive downloadable manuals, checklists, infographics and even high-definition videos to teach you how to manage fibromyalgia and chronic pain. You can download all of the in-depth information immediately after your purchase. My pain really started when I turned 30. Sometimes it was very difficult to get through my day. My mom purchased your health kit for me and I am glad she did. It has alot of information my doctors didn't tell me about. Thank you so much! Exercise and diet has always been a way for me to manage my pain. 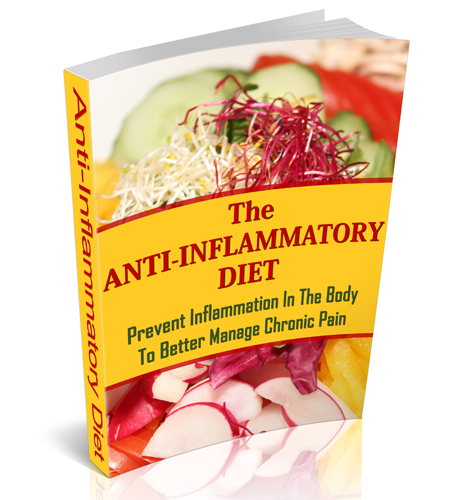 Your information on the foods that fight inflammation really hit home for me. I have changed my diet and I can feel it. 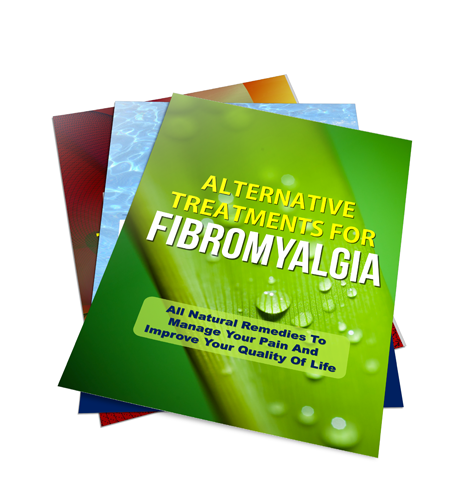 My husband and I both suffer from fibromyalgia. It is a miracle we each found someone who truly understand what it is like to live with constant pain. He told me about your health kit and I bought it. The videos where very well done and is a great way to explain in full detail. I am a male model and I have to be on set from early in the morning until late in the evening. It may not sound like hard work but all of the movement without much rest during the day takes it toll. Some days my pain is unbearable, but I have to get through it. The information in your course is full of gold nuggets and I watch the videos when I am on break. Chronic Pain and Fibromyalgia Does Not Have To Be A Fearful, Frustrating Experience! 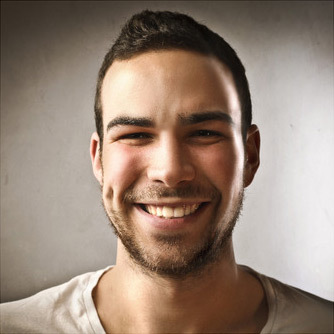 Learn your treatment options so you can ask all the right questions when you see your doctor and be sure you are getting the correct information. Get to know the medications, exercise routines, supplements, and recommended diet that help manage fibromyalgia and its symptoms. and disability, there are effective ways to control symptoms and enjoy your life! 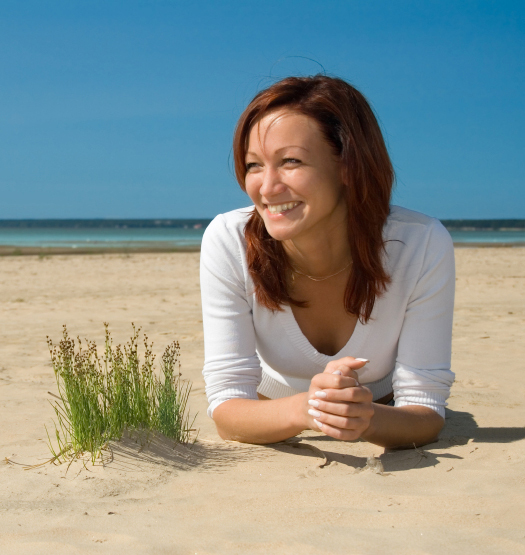 Learn how to improve your quality of life with real hands-on usable methods that really work! UNDERSTAND THE CONDITION SO YOU CAN BETTER DEAL WITH THE CONDITION! That is exactly what "The Ultimate Fibromyalgia and Chronic Pain Health Kit" can do for YOU! It provides you with the information you need to manage fibromyalgia and chronic pain and enjoy a more active and healthy lifestyle. You'll learn how to turn a scary and potentially debilitating experience into a powerful one that you control! PICK UP YOUR PERSONAL COPY TODAY! 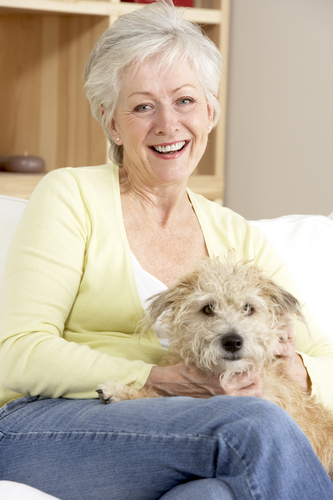 Don't let uncertainty, misinformation and dread about menopause rule your life! "The Ultimate Fibromyalgia and Chronic Pain Health Kit" gives you peace of mind and clarity over every aspect of chronic pain and fibromyalgia, and your copy is available for immediate use through digital download. This website pro­vides gen­eral infor­ma­tion and dis­cus­sion about med­i­cine, health and related sub­jects. The information on this website is not medical advice and should not be con­strued as med­ical advice. If the reader or any other per­son has a med­ical con­cern, he or she should con­sult with an appropriately-licensed physi­cian or other health care worker.